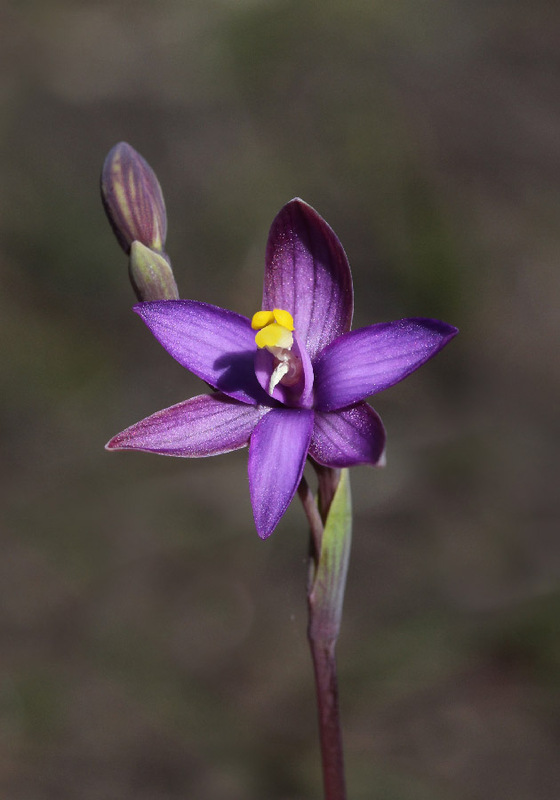 There are three orchids in this group. 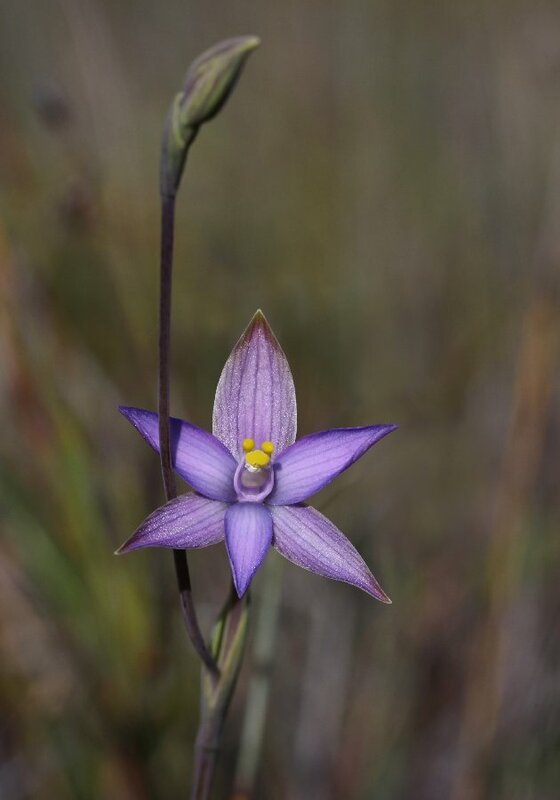 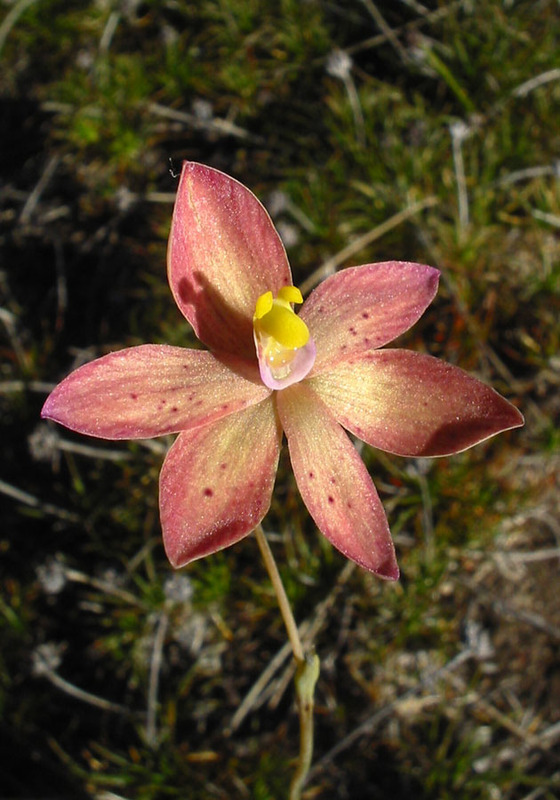 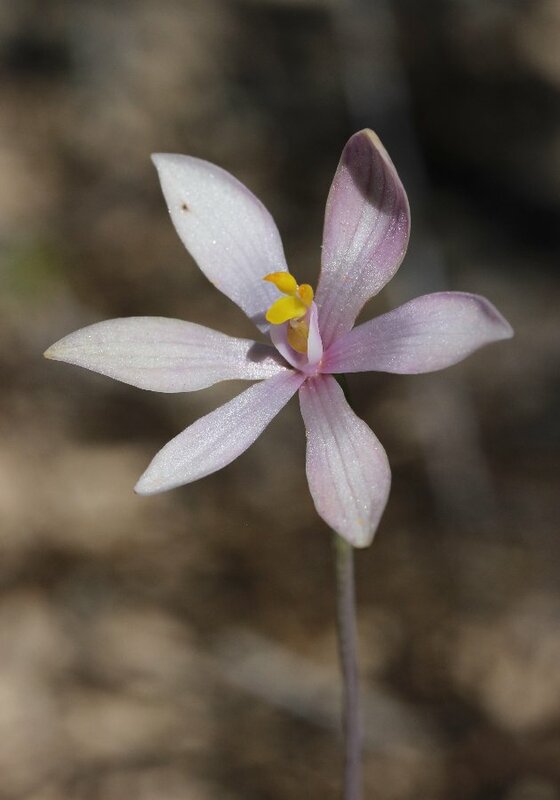 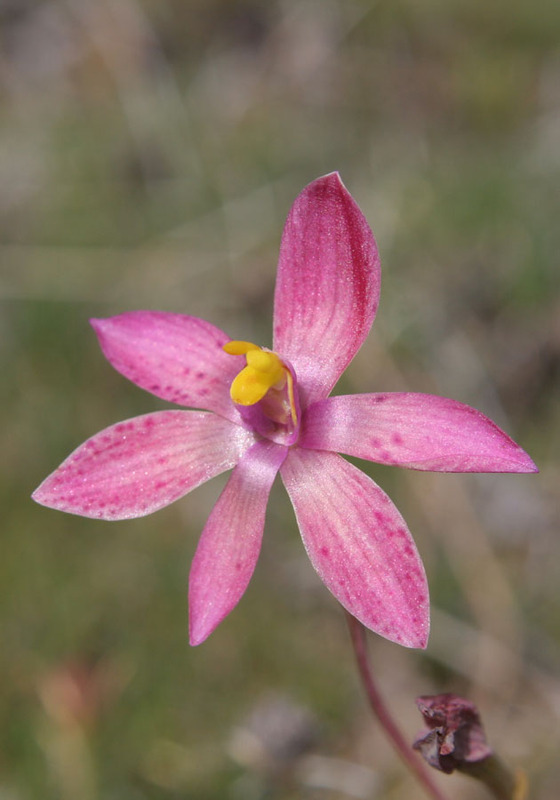 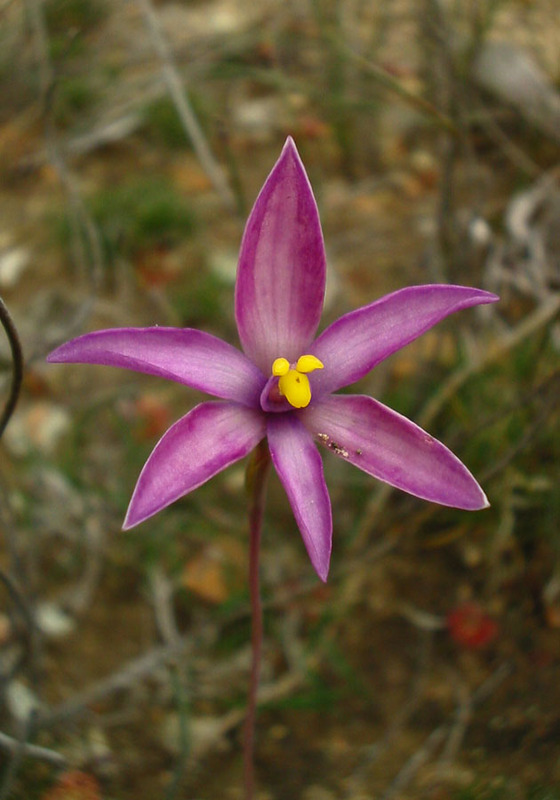 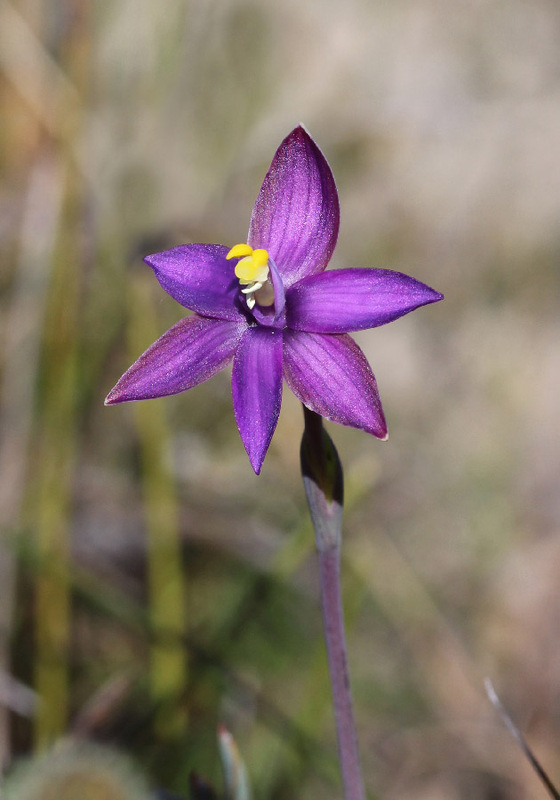 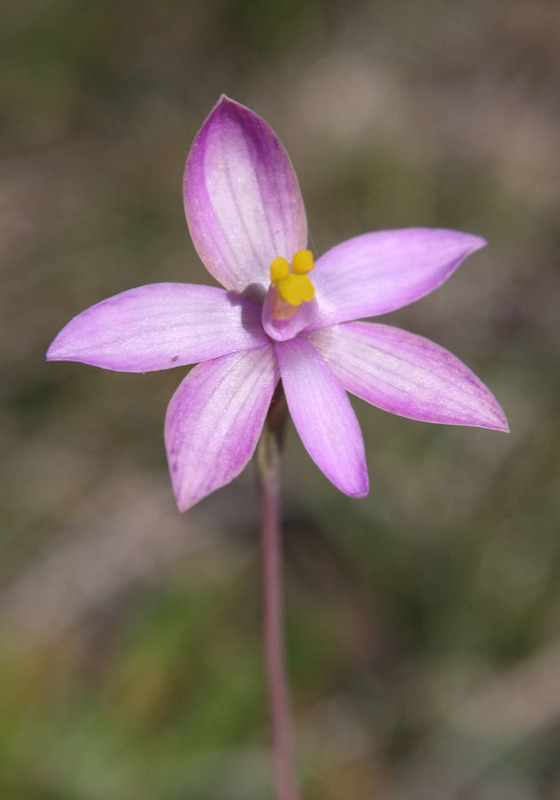 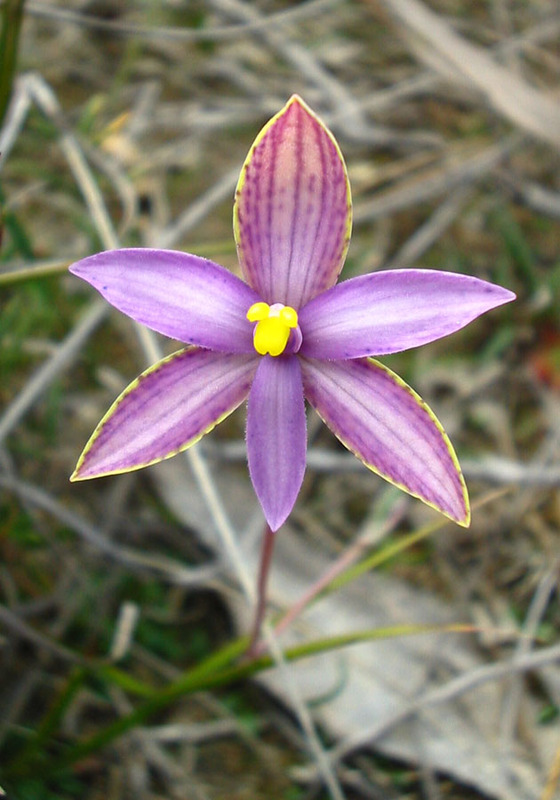 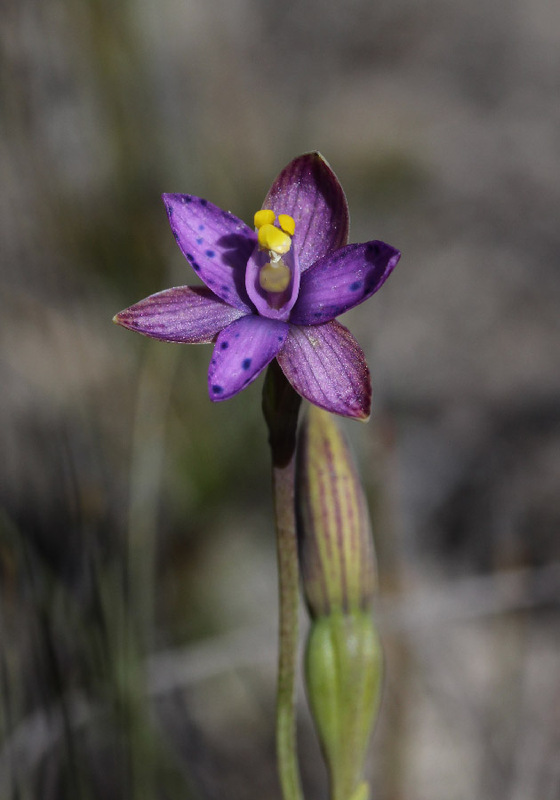 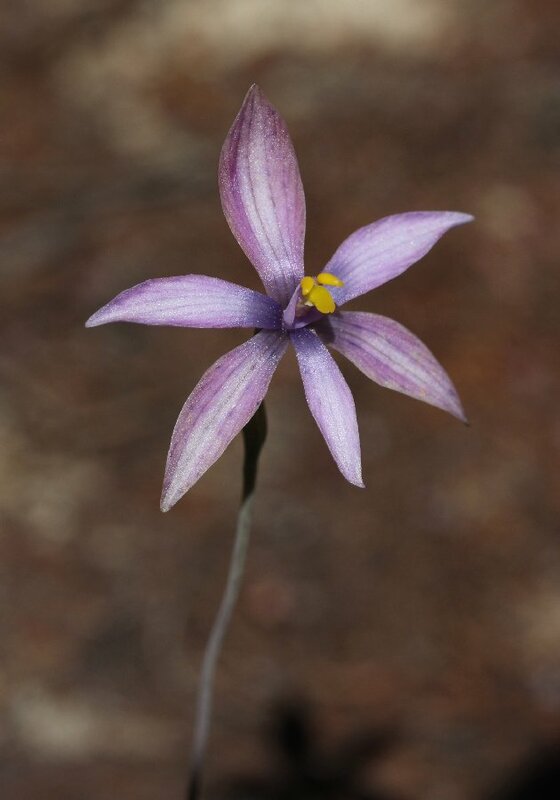 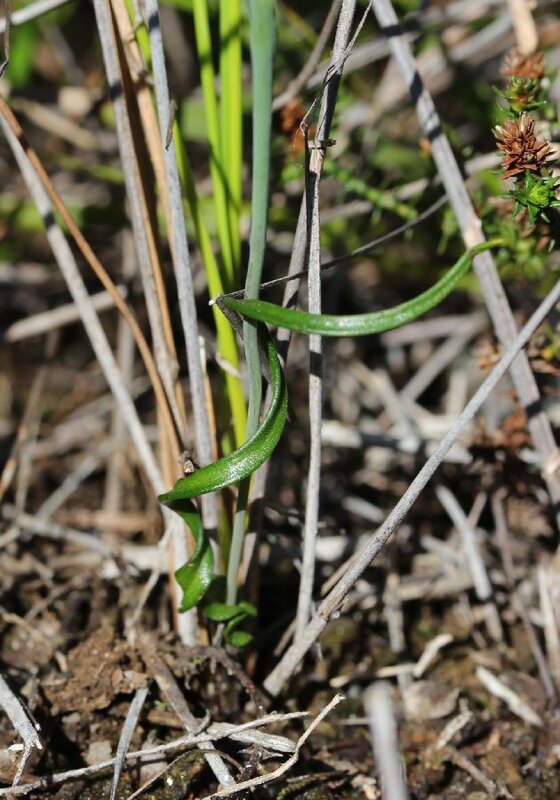 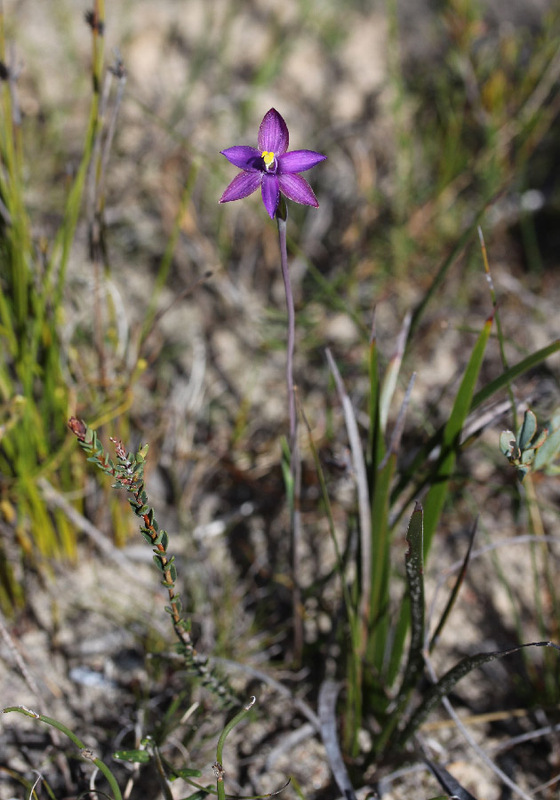 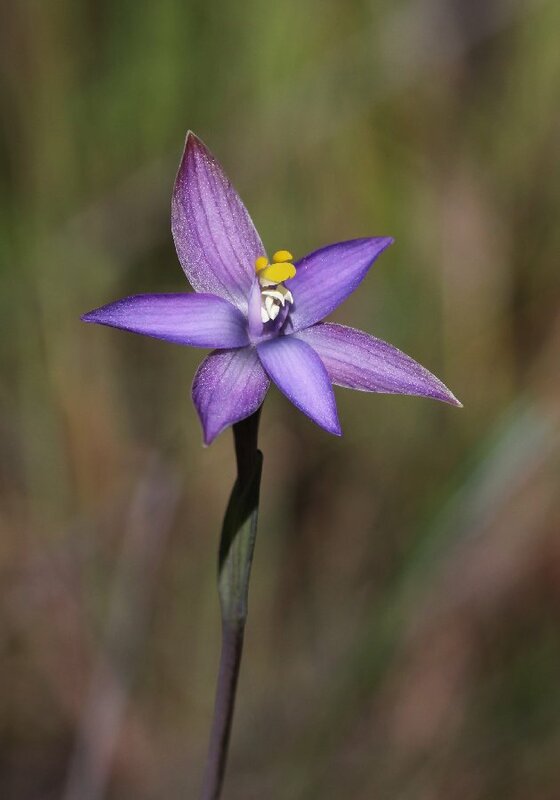 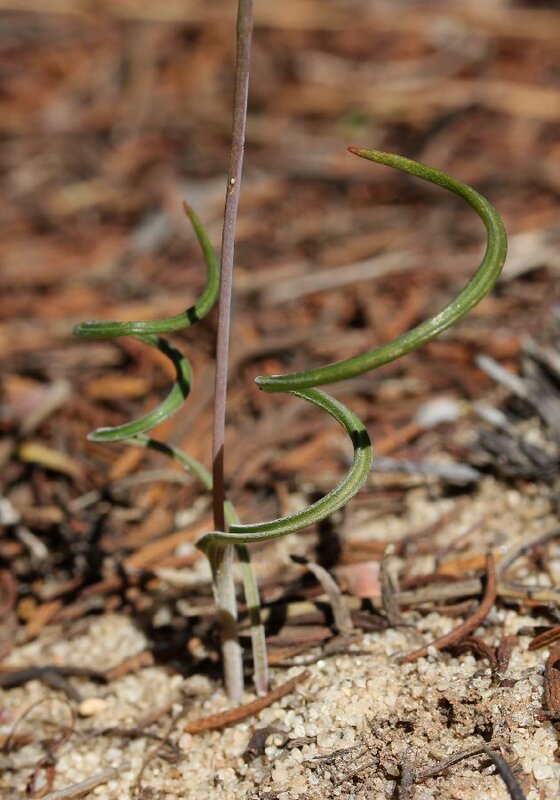 Originally, all three species were considered one, this being Thelymitra spiralis. 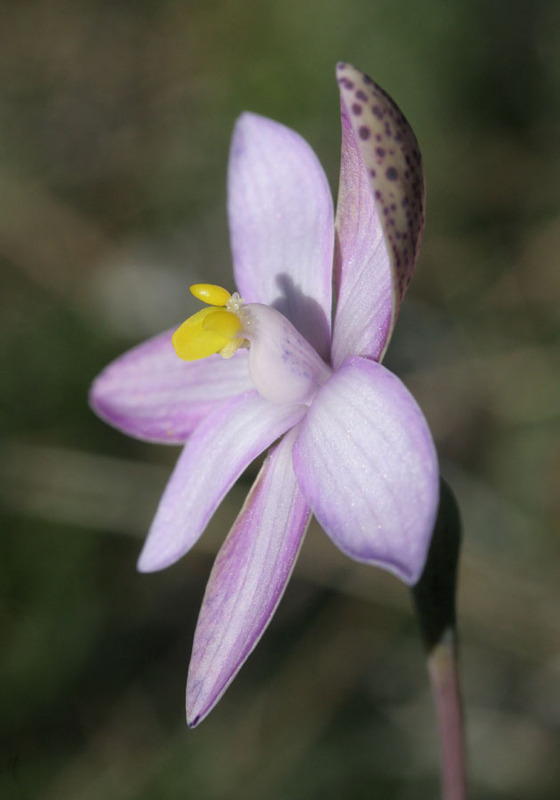 They are now divided into three species, differing by habitat, number of flowers per stem and distribution. 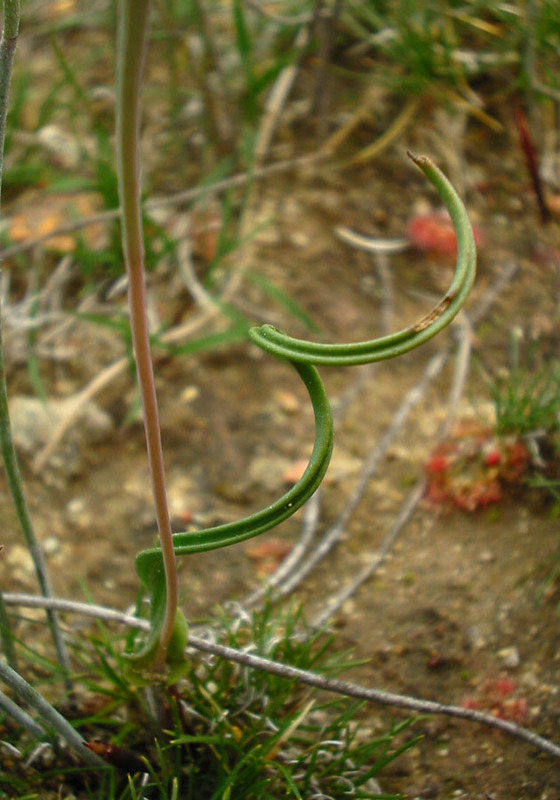 Two of these species, The Curly Locks and the Eastern Curly Locks are very similar in appearance, while the third, the Southern Curly Locks, is easily distinguished. 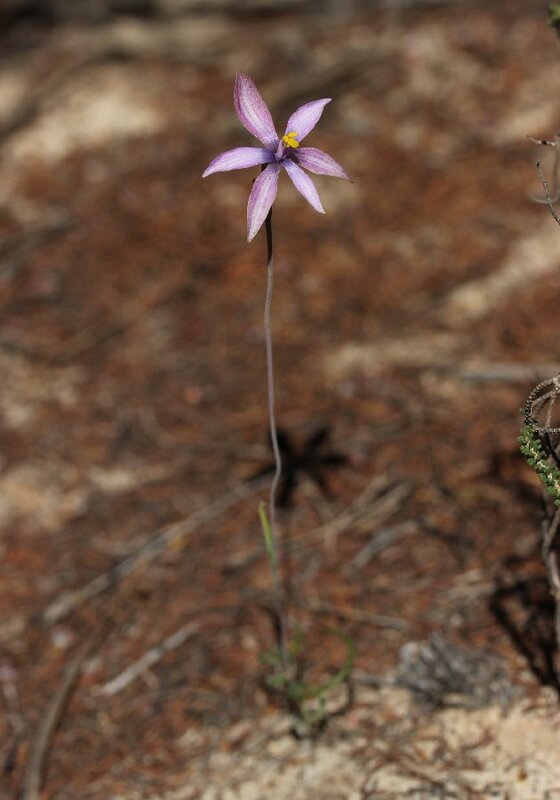 This group is similar to the Queen of Sheba but has less colourful flowers. 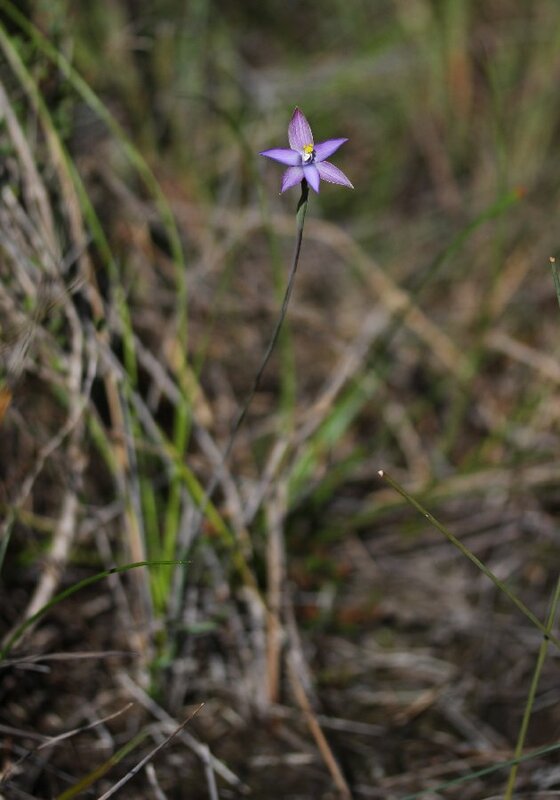 Like the Queen of Sheba, it is highly variable in colour and has a spiral leaf. 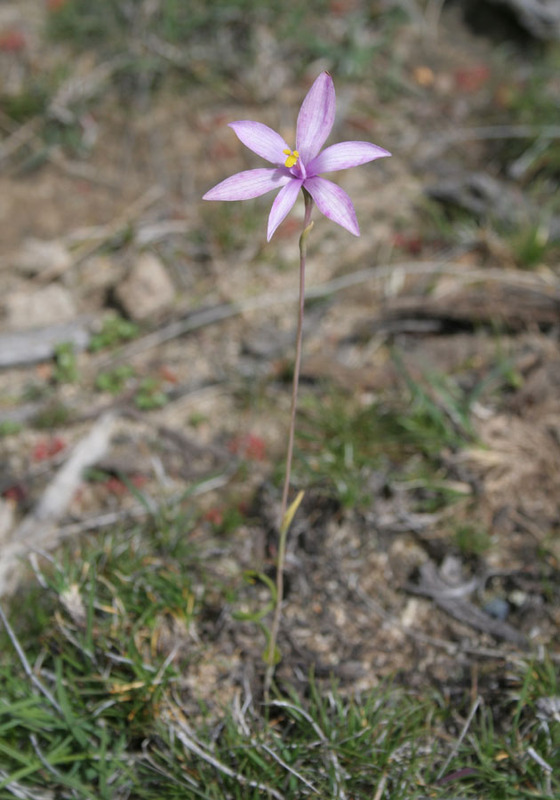 The Curly Locks is distinguished from the other two species in this group by its larger, paler flowers that are striped, rather than splotched. 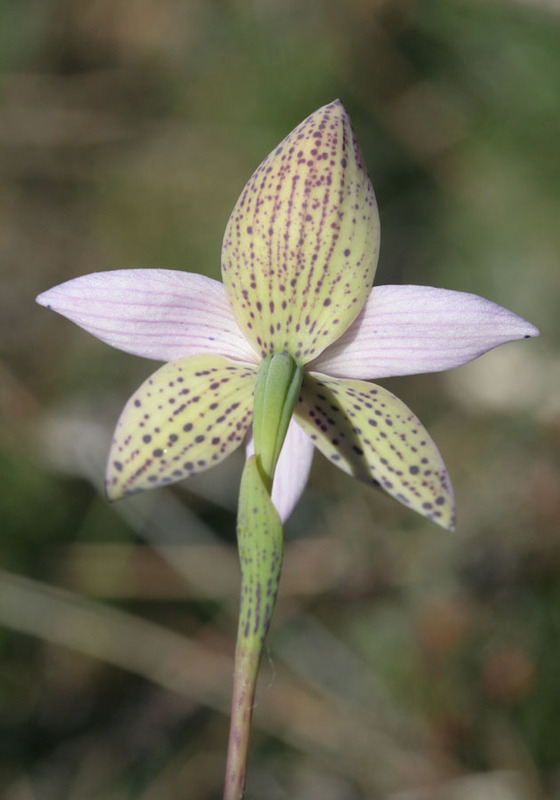 It will hybridise with the Shirt Orchid where the two are growing together. 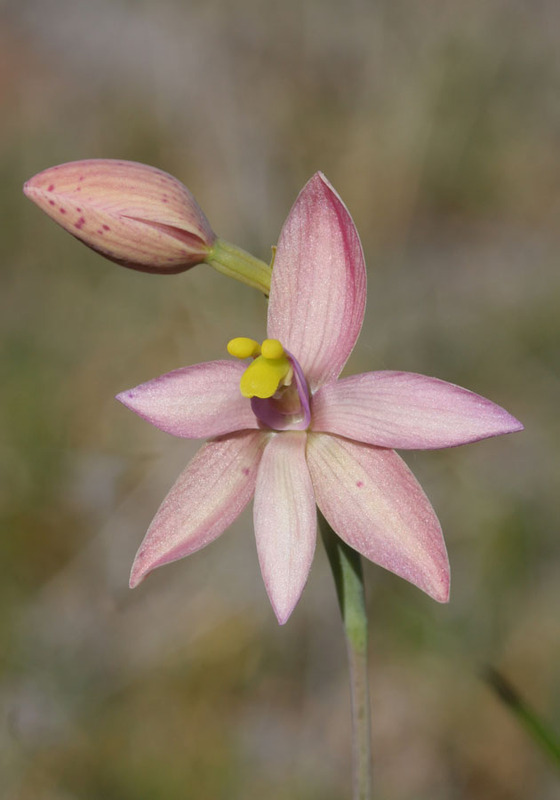 The Eastern Curly Locks is distinguished from the Curly Locks by its darker pink flowers that are spotted, rather than striped. 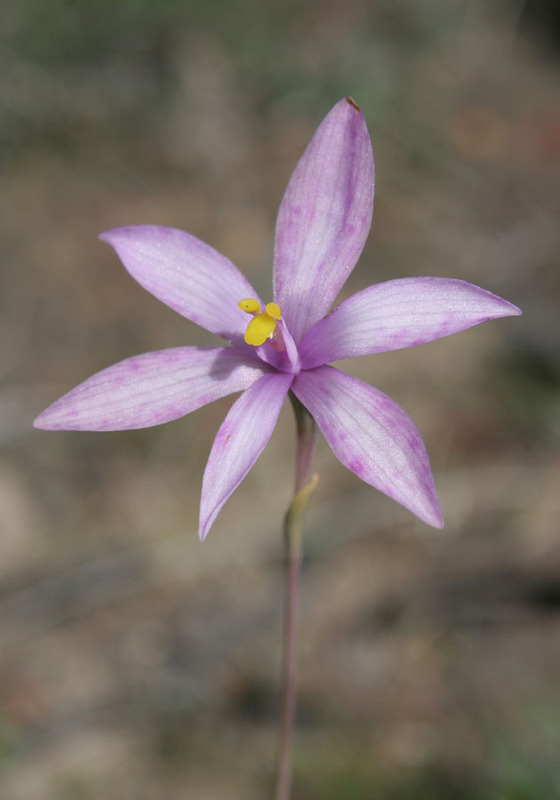 It is distinguished from the Southern Curly Locks by its larger flowers and pink, rather than blue or purple colouring. 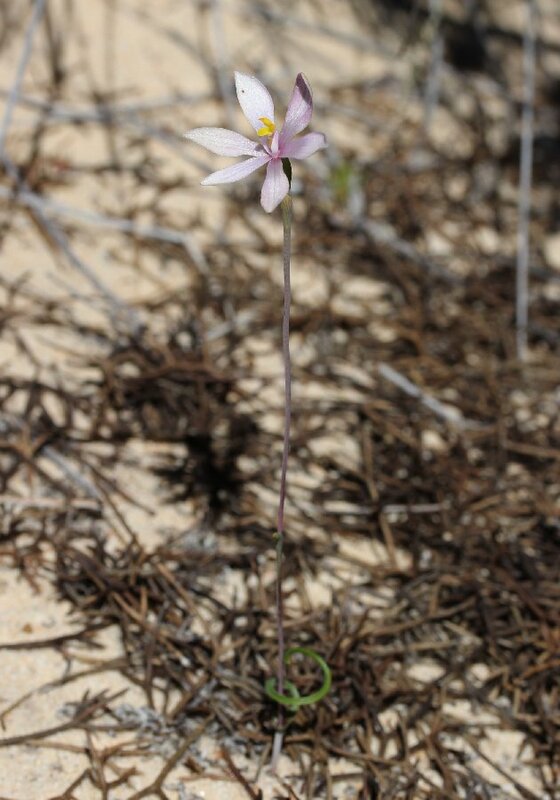 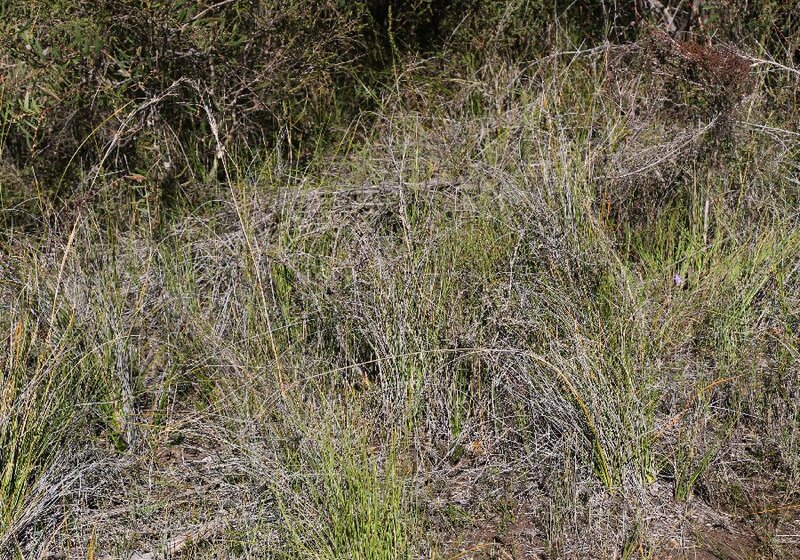 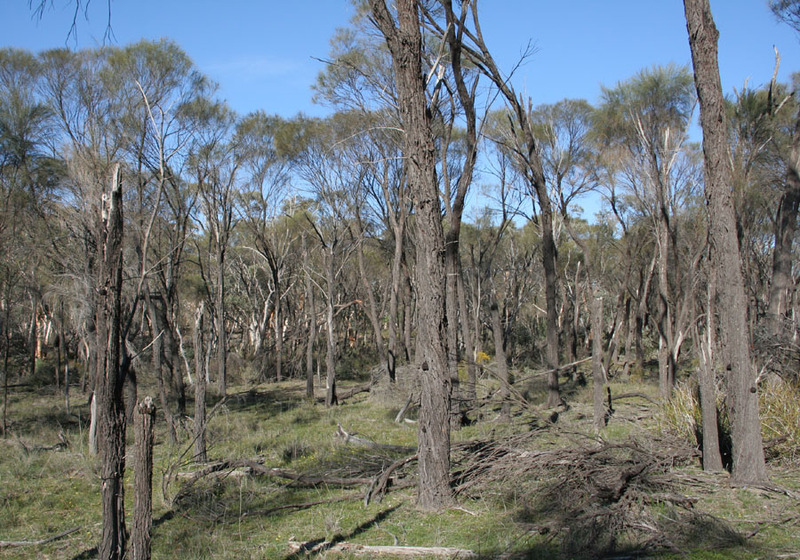 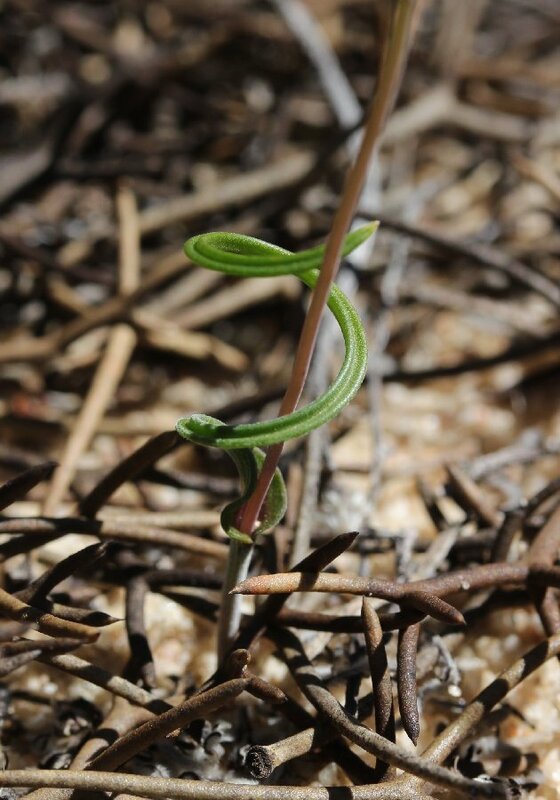 It is found in winter wet areas in the western and central wheatbelt. 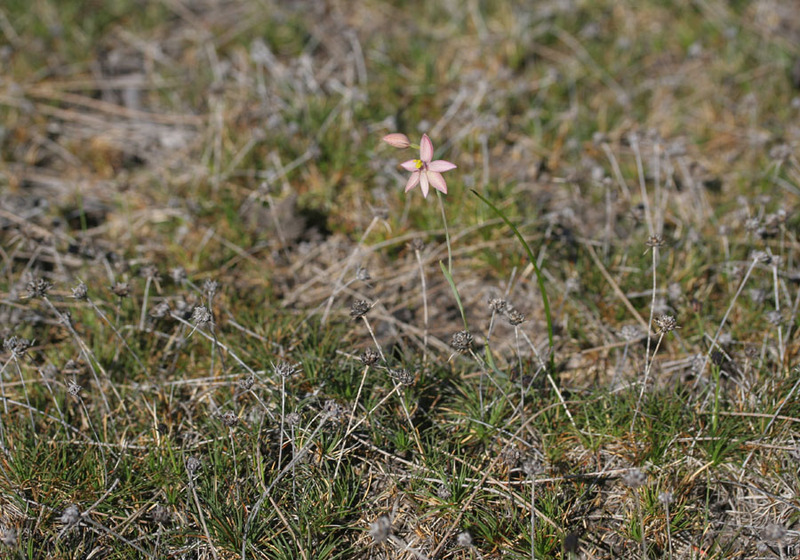 A common habitat is on and around granite outcrop areas. 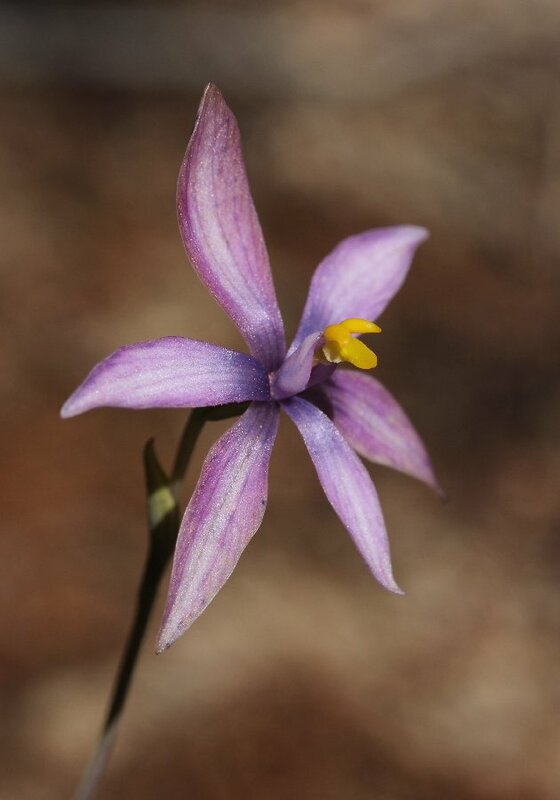 It often grows with and hybridises with the Lemon Scented Sun Orchid. 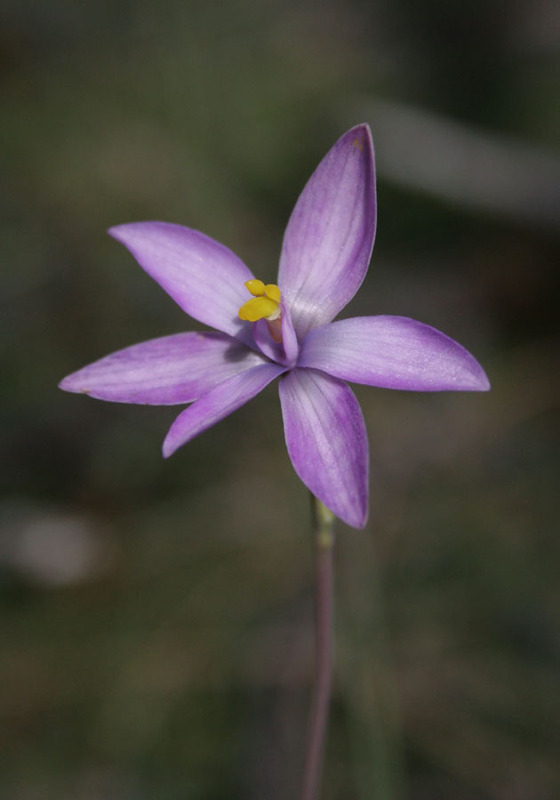 The Southern Curly Locks is distinguished by its smaller flowers that are usually purple to blue instead of pink. 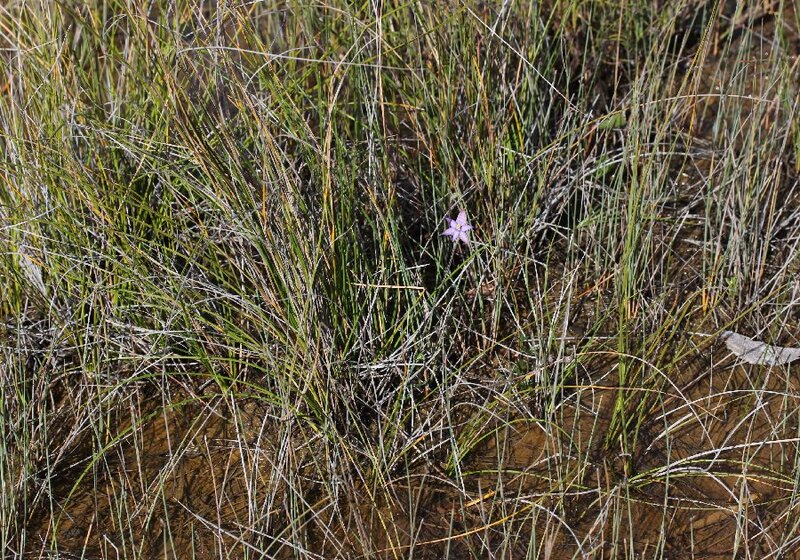 It is found mostly in the lower south west of Western Australia and favours swamps, often growing in standing water. 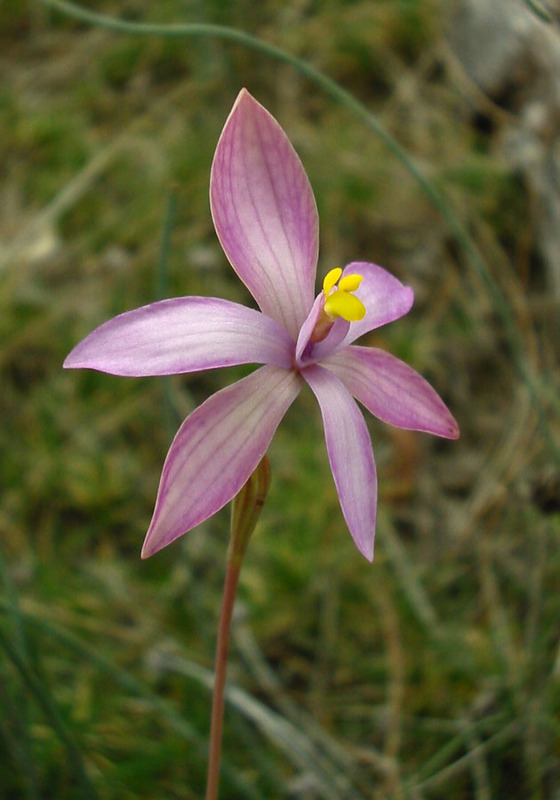 Flowering occurs from August to early September. 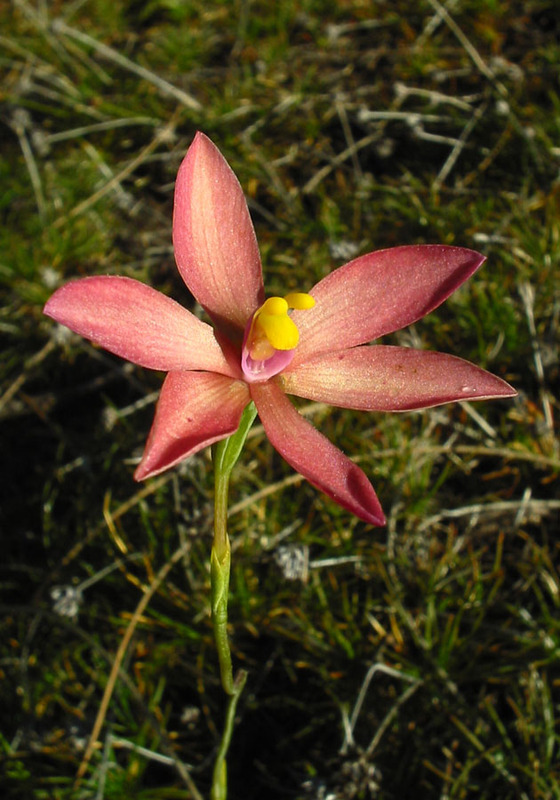 This hybrid is distinguished by its orange-pink colouring and the leaf, which is only weakly spiral - half way between that of the Lemon Scented Sun Orchid and the Curly Locks.